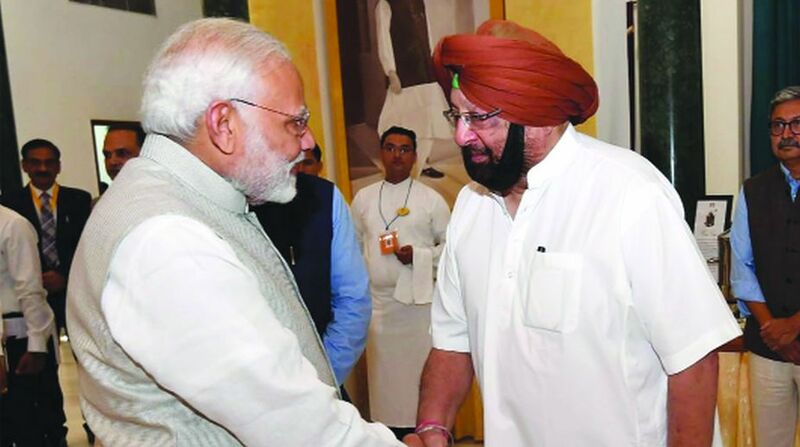 Punjab Chief Minister Amarinder Singh on Sunday urged Prime Minister Narendra Modi to constitute a Committee of the Union government and some CMs to formulate a blueprint of a National Debt Waiver Scheme for farmers in consultation with states. 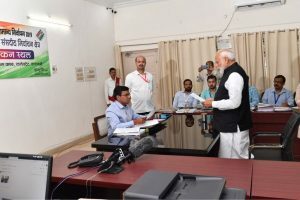 While underlining the importance of the Swaminathan Committee report to be accepted in totality, the CM, who was addressing a meeting of the National Institution for Transforming India (NITI) Aayog in New Delhi. He also said the Governing Council should consider the issue of agricultural loan waiver at the national level, on priority. The CM reiterated his government’s request for central assistance to celebrate the 550th birth anniversary of Sri Guru Nanak Dev and the centenary of the JallianwalaBagh massacre in Amritsar next year. Amarinder pushed for special one-time infrastructure development package for border areas for Punjab. Lamenting that the criteria for allocation of funds under Border Areas Development Programme remained unfavourable to Punjab, he also called for acquisition of lands that lie beyond the border fence by the Government of India (GOI), along with incentives for industry in the border area. The Punjab CM also sought tax incentives and promotional schemes to 30 kilometer border belt on the same pattern of hilly and north-eastern region. He also called for special development and maintenance of border roads in Punjab under the National Highway programme. The CM urged the Centre to include the rivers of Punjab for capital assistance on the lines of the Ganga Action Plan. He also sought approval for the state’s projects for upgradation of irrigation system and expeditious approval to ShahpurKandi Dam project on river Ravi. The CM also sought procurement of alternate crops such as Maize, Oilseeds and Pulses by central agencies. Referring to the Centrally Sponsored Schemes, the CM said the GOI should identify certain national transformational programmes across key sectors of agriculture, education, health, water and urban governance. These programmes should be fully funded by the Government of India with clear committed milestones and outcomes, he added. The CM underscored the need for greater focus on urban areas, urging the NITI Aayog to work with states towards evolving a new paradigm for better managing the towns.The CM also sought a review of the new system of reimbursement of Post-Matric Scholarship for Scheduled Caste (SC) students, in order to ensure that poor SC students are not put to any disadvantage.